Bazm-e-Iqbal: Who kidnapped Colonel Imam? It has makings of a script for a Hollywood movie but since the main character hails from Pakistan and has been an operative of the much loved Inter Services Intelligence Agency of Pakistan, this might not become a reality. I got interested in this story in February reading the Times Online piece about retired Brigadier Amir Sultan Tarar, well known as Colonel Imam. The article gave credit to Colonel Imam to be the main man who single handedly ran the Mujahidin insurgency against the Soviet Union. He escorted Charlie Wilson, the Texan congressman who funnelled millions of dollars to the Mujahidin, into Afghanistan three times and once took the US Defence Secretary, Robert Gates, then the CIA’s Deputy Director, to a Mujahidin camp near the border. It is only when I saw a grainy photograph of three ISI operatives, who have allegedly been kidnapped by Taliban sympathisers in the North West tribal region of Pakistan, I realised that one of the victims is none other than Colonel Imam himself. Reportedly Taliban hostage takers are asking for release of three key Taliban leaders recently arrested by Pakistani law enforcement agencies. It is the same Mullah Baradar that his captors want to be released in exchange for his life. 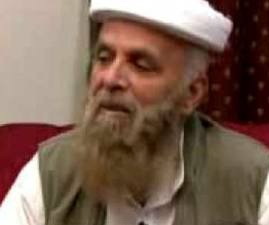 The story is still unfolding and it is hard to say whether it is really Taliban who have taken Colonel Imam hostage. According to daily Telegraph Colonel Imam along with other ISI operatives was taken [by whom] at the request of the American intelligence service as he travelled through Pakistan's lawless tribal belt. In the meanwhile, I am going to watch Charlie Wilson's war to see whether Colonel Imam featured in the Hollywood version of events two decades ago. Best way to Save Pakistan. Read this informative Blog.